I believe that creativity is therapeutic, and it is part of who we are. Creativity is a gift from God, and it can change your life. I truly believe that art is so much more than home decor. It is a much needed escape from the chaos of life. Art is a spark of joy in a world of unpredictable events. It is sometimes the life line that holds us when we feel like nothing in our lives is going the way we thought it would. Aside from my deeply rooted faith in God, art is a necessity to keep my sanity on this side of Heaven. It’s really accidental (or possibly providential) how art came into my life (you can read about that here: ABOUT ME), but I’ve learned so much in the past years because I have allowed it in. 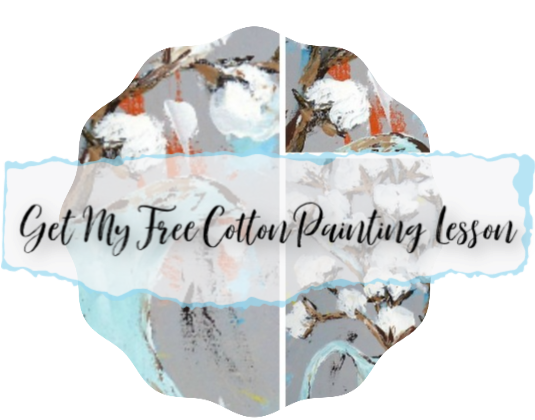 I’ve created a new way of life for myself without even realizing it, and it’s all because I picked up a paint brush and gave myself a creative outlet. I have found art to be helpful to me in so many ways. I sat down and typed out a few words from my heart about what art has done for me, and what it can do for you. My hope and prayer is that you will be inspired, motivated, and encouraged by my experience and see creativity for what it really is….a life changing gift. I feel like this topic is a discussion that I will never fully finish and will always want to talk about with others. Do you find that art and creativity in general helps you? How? I’d love to hear from you! Here’s a time lapse video of me creating this inspirational girl. Hope you enjoy! I love it! So inspiring! thank you so much for sharing your talent and with us! You are so talented ! Beautiful! Amanda, you have reignited my love of painting. Thank you for helping the passion of painting to flow again within me. You are truly gifted by God to serve others through teaching Art. More and more I am finding that I must have this special time to myself. Art allows me time to tune out for a bit so that I can be refreshed and deal with the chaos that life throws at me. It is definitely a stress reliever.. I can easily say no if I need to. Art makes me happy and it makes me feel accomplished. I’m so thankful to God for putting art in my life. Yes! Tuning out for a bit is a great stress reliever for me too. You are an unselfish, inspiring person. Thank you so much for sharing with us. Thank you so much for these sweet words. I am with you Amanda! Art is not just a luxury to me, it is a part of who I am. I have always done some form of art, as a child I colored and painted daily, then I did pencil drawings and later calligraphy. Then as young mom I sewed for our little girls, decorated their rooms and shared art with them. I have always loved photography and worked part time as a photographer while teaching full time. I am now retired and enjoying painting and traveling. Art is a stress reliever, an outlet for emotions, a way to connect with others and a pleasure! I am very grateful for family and friends who encourage me to be creative and for the gifts God has given me! Thank you for sharing your art and your love of sharing it with us! I totally agree. I also find that most creative people dabble in many many different creative things, like you mentioned. It’s all fun and exciting.